There's something so pleasing and zen about this dresser's clean lines and calming grey finish. You don't need any extra frills or distractions in your life, so you'll appreciate the simple, sleek shape and modern recessed drawer design. Chrome-colored hardware and a black base rail complete this low key look. 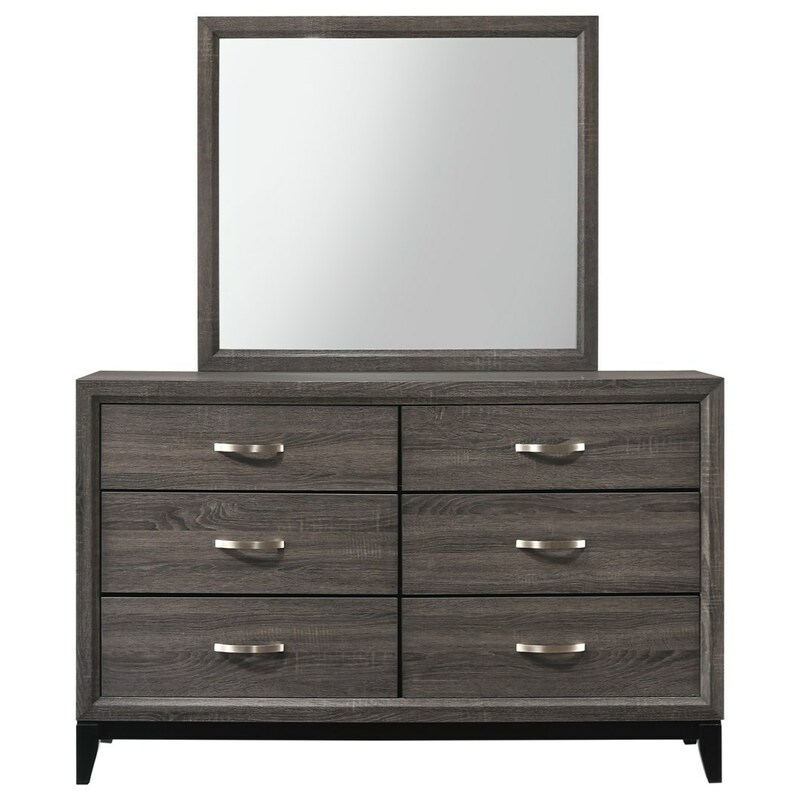 The Akerson Contemporary Grey Six Drawer +and Mirror Set by Rooms Collection One at Rooms Furniture in the Houston, Sugar Land, Katy, Missouri City, Texas area. Product availability may vary. Contact us for the most current availability on this product. Eliminate the excess noise in your life with this simple and clean bedroom set. 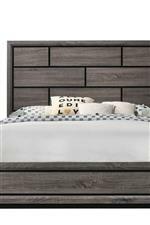 The bed and matching storage pieces feature sleek, contemporary lines and a relaxed gray wood finish. It's perfect for a master or guest bedroom with a full range of bed sizes from Twin to California King. With a bedroom that's this calm and collected, its easy to reset at the end of each day. The Akerson collection is a great option if you are looking for Contemporary furniture in the Houston, Sugar Land, Katy, Missouri City, Texas area. 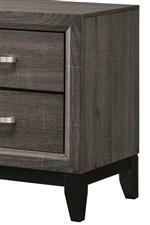 Browse other items in the Akerson collection from Rooms Furniture in the Houston, Sugar Land, Katy, Missouri City, Texas area.